Saturday morning sessions are for boys and girls aged 4 to 15. These sessions run out of Brighouse High school from 9am to 12pm. The younger age groups start at 9am , middle age group at 10am and the older group at 11am. Each session is aimed at having football fun whilst learning all the time. 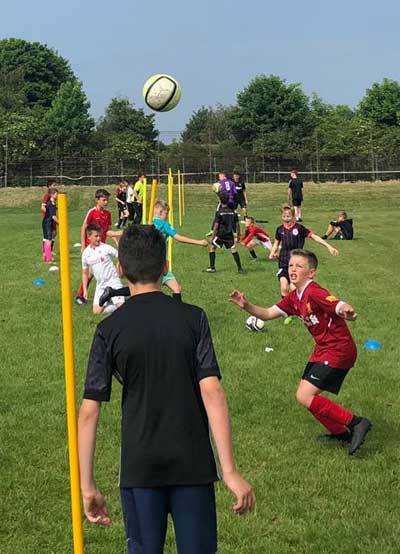 We concentrate on all aspects of football from the the very 1st steps needed to play football to more advanced techniques as the children get older. We welcome all abilities and let the children develop at their own pace with no pressure at all. At the end of each term we always finish with an in house football tournament which the kids love . Please contact me for more information or to book a space .